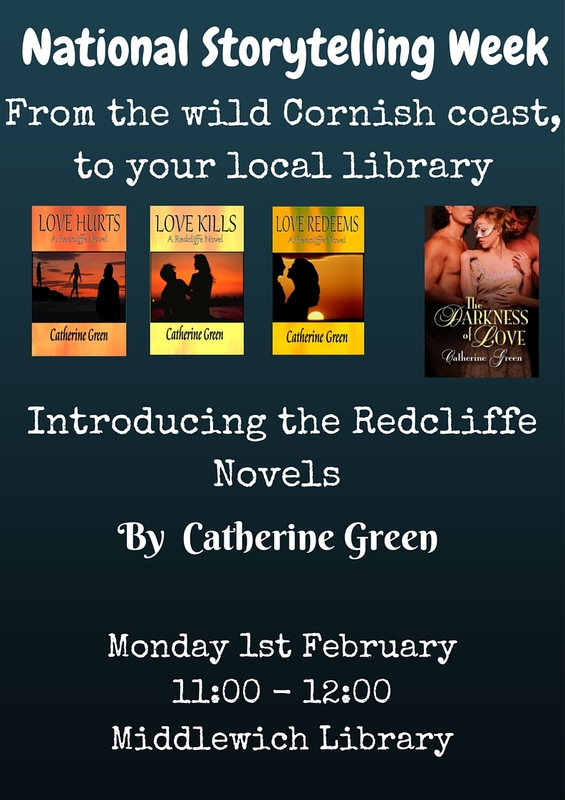 Meet me in the library on Monday 1st February, and I will tell you a tale of supernatural secrets, vampires, witches and werewolves, all hidden in a seaside town in Cornwall, and previously concealed in my very own mind… See you there, at 11:00am sharp! This entry was posted in a redcliffe novel, advertising, book, book promotion, book sale, book signing, books, library, local library, Random Musings and tagged #NationalStorytellingWeek, a redcliffe novel, book signing event, catherine green, local author event, meet me in the library, Middlewich library, the redcliffe novels, your local library. Bookmark the permalink. Wish I were able to! Have fun & enjoy!